Annyeonghaseyo! Man, it is much easier to copy and paste hello in Korean than it was for me to say it in real life when I was there. 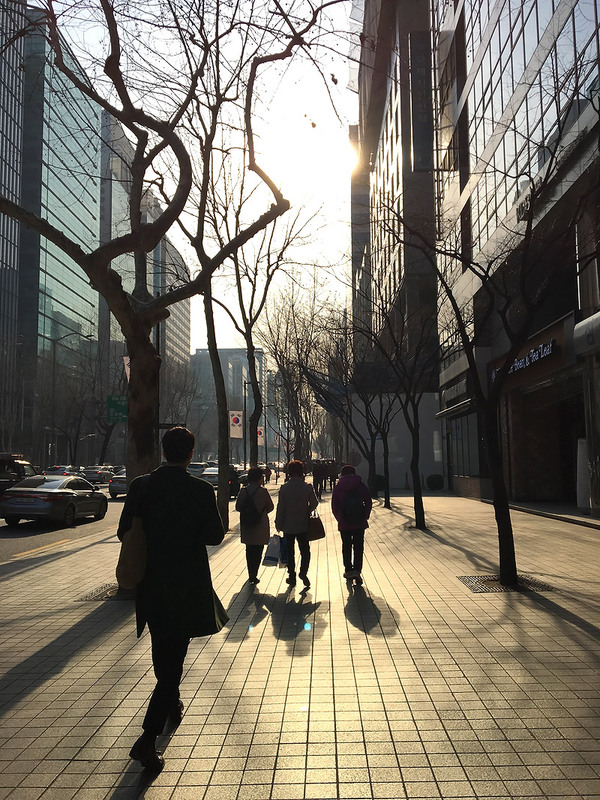 So in March, I headed to Seoul for the first time ever in my life. I've never been to South Korea before, and honestly, I've never felt a strong urge to go as I was not a huge fan of kpop and kbeauty back then. After this trip, let me just say I wished that I had visited that lovely country earlier! We spent a total of 5 days there and that was, in my opinion, sufficient to explore the more well-known tourist attractions with a bit of time to spare. 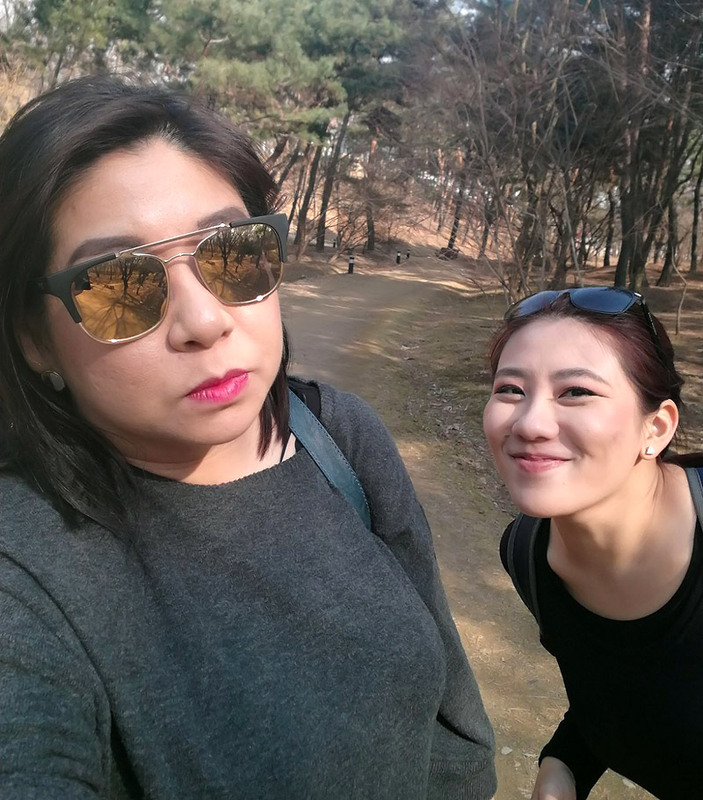 Arriving on Tuesday morning, we checked into the Oriens Hotel & Residences which is just a stone's throw away from Chungmuro station (one train stop away from Myeongdong) with access to both the light blue and orange metro lines. Side note, if you have booked the hotel and are taking the metro to Chungmuro station, simply take exit number 4 and keep walking straight till you arrive at a police station. Then, you simple turn left and walk all the way in and you will reach the carpark entrance of the hotel which you can take a lift up to the main lobby. This is probably easier than trying to find the main entrance of the hotel which faces a highway (I think). I really did enjoy the hotel as the room was spacious and clean. We also had a small kitchen complete with appliances and cutlery! Seoul has a lovely mixture of olden and traditional architecture right alongside modern buildings. I thought this combination was lovely as I got to experience what it felt like in the olden days without losing touch to the modern world. 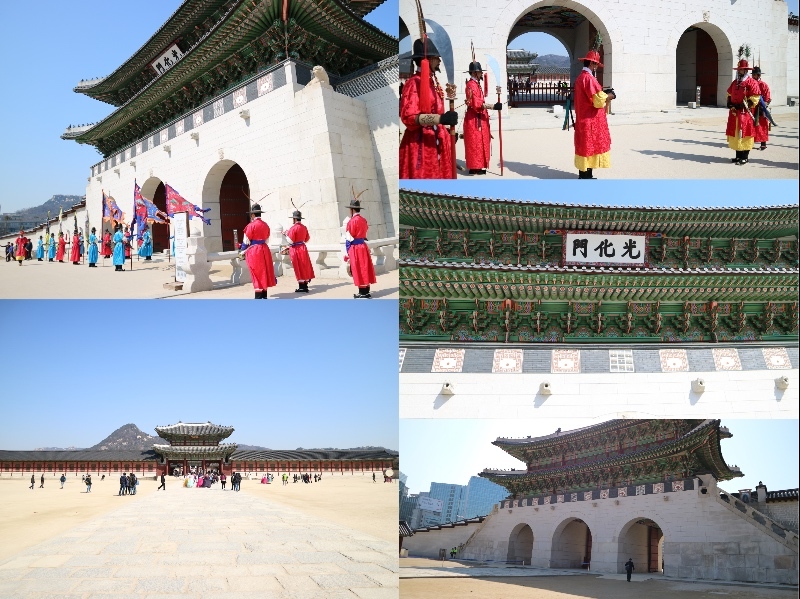 Some of the sights that we visited included the Gyeongbokgong Palace, which is massive and extremely spacious. There is the option of renting a Hanbok (traditional Korean dress) and taking pictures all around the palace, if you would like. I think I saw a stall where rental was going for 5000 Won (about SGD 8) which is pretty affordable for a unique experience! 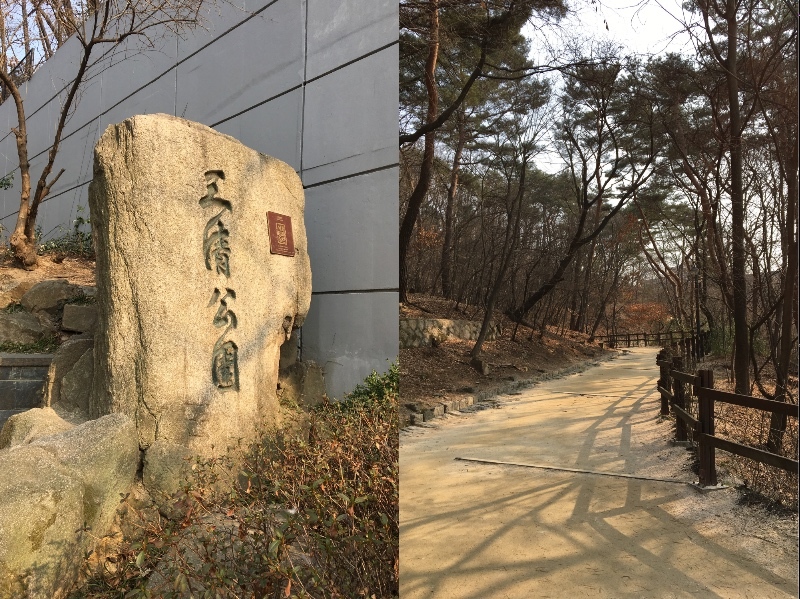 I also wanted to mention Samcheong Park. 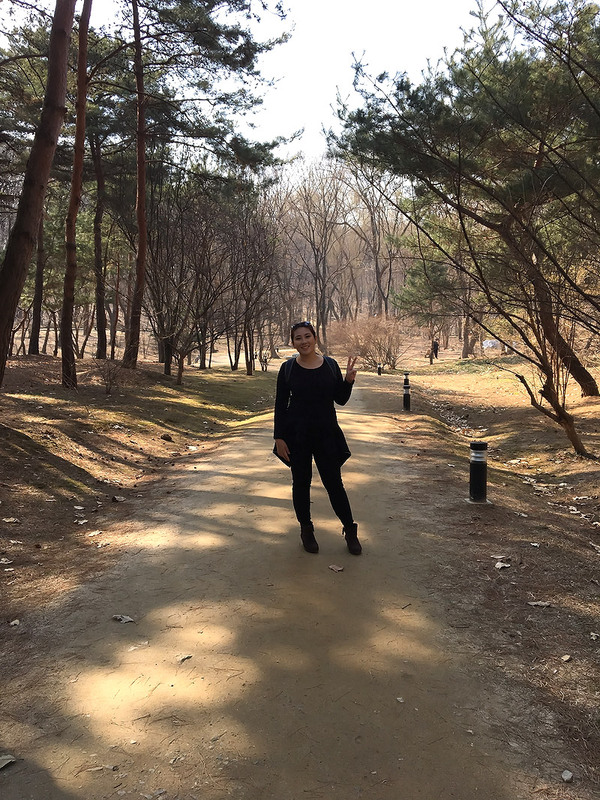 This park is located to the north of the Gyeongbokgung Palace and it is truly beautiful. Get prepared with your best sport shoes as there are some stairs and a lot of slopes! But just walking around with my own thoughts and admiring the scenery was something that I wished I did more often (but in Singapore, the options are...ney). I mean, just look at the view! 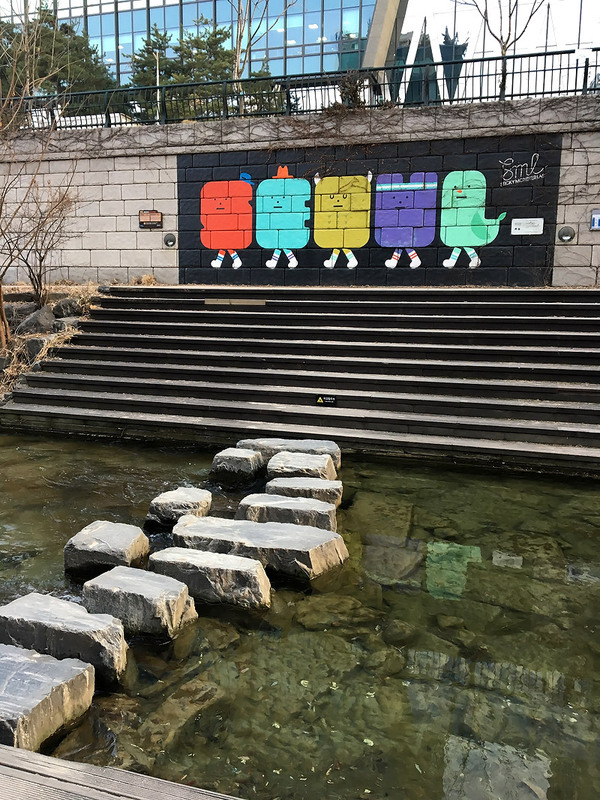 The Cheonggyecheon Stream was definitely one of the highlights for me. Located right in the middle of the hustle and bustle of the city, this stream is really tranquil and peaceful, a great way to relax without having to jostle the crowds. The Jogyesa Temple was a place we stopped by as well. This temple is nestled right in the middle of modern buildings, so we had a little trouble finding it. Honestly, it did not have much of the traditional temple vibe from the outside in my opinion as there were many people and little cranes (that are used to hang up the colourful lanterns as shown in the picture. I think you can write a wish on it and then pass it to them to hang it up but I am not too sure). 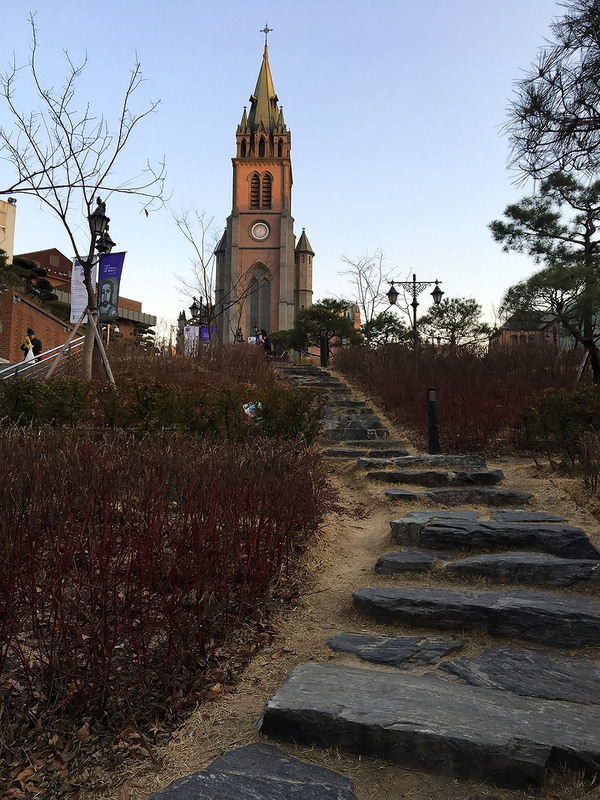 We also visited the Myeongdong Cathedral which is located at the edge of the street. This place was so peaceful and the atmosphere was further boosted as the sun was setting, casting a perfect warm orange hue to the surroundings! There was a church service going on when we were there, so we decided not to go in. However, the view of the outside alone was worth the walk in my opinion. 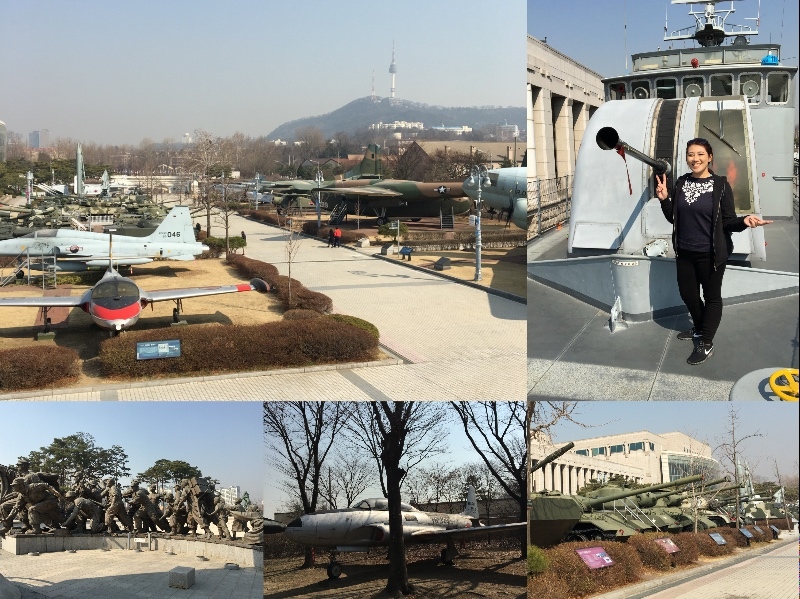 The National War Memorial was fantastic and I don't think I've ever seen so many army machinery in my life being displayed. There ware fighter jets, planes, tanks, guns and a huge battle ship! My experience was also boosted by my travelling buddy who made sound effects wherever we went. It was as if I had an audioguide, sans the facts and actual information hahaha. Being disappointed by the lighted flowers at iLight @ Marina Bay recently, I was really excited to visit the Dongdaemun Design Plaza to see the LED flowers! They didn't disappoint fo' sure. 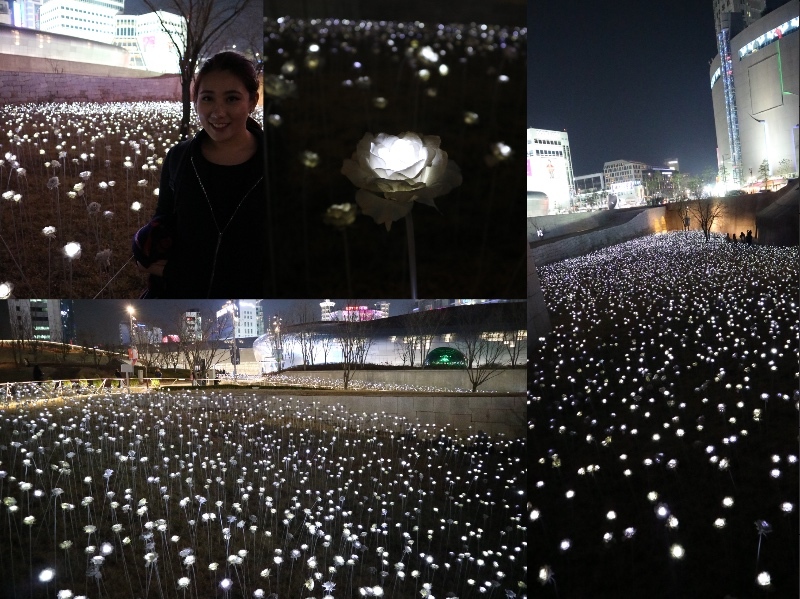 It was massive and according to the information board nearby, there are a total of 21000 flower stalks! 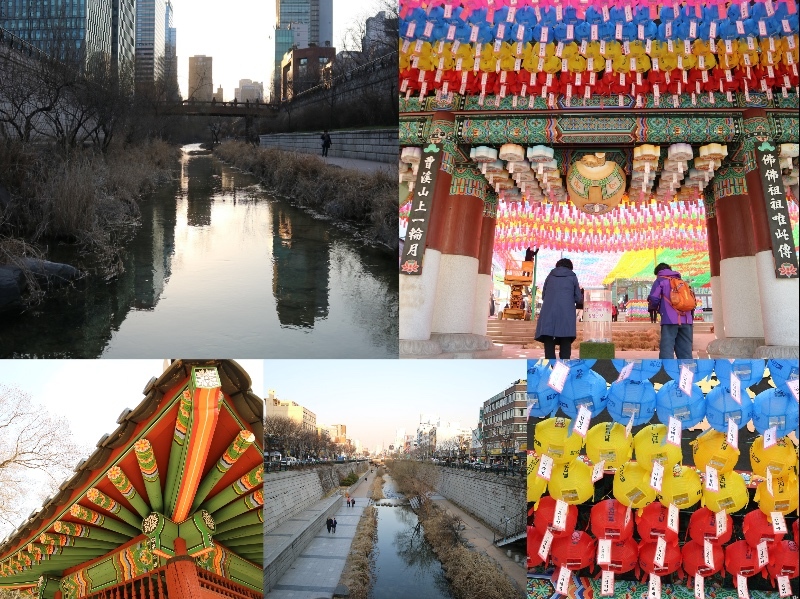 Another two areas that we wanted to explore was the Ewha University area and Bukchon Village. Ewha University is truly gorgeous. It is extremely spacious and the main area reminded me a little of gothic architecture while the other buildings look pretty sleek and modern. It is said that many people flock to this area to shop for clothes. I did see a few stores selling really affordable clothing so I can see why! Side note, there is a store called Queen's Bagels near the main entrance of the university and lemme just say, go get yourself a bagel! Bagel options were only cranberry and wholewheat but the myriad of cream cheeses to choose from made up for it. Besides, it was fairly affordable. I highly recommend the Earl Grey and Honey Walnut cream cheese! 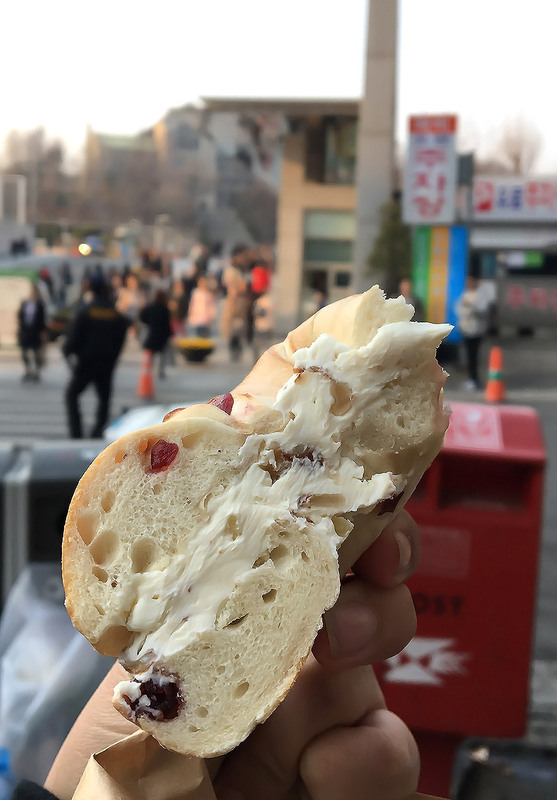 What you see above is the lovely combination of a cranberry bagel with honey walnut cream cheese. And yes, I already had taken a bite. It was then I realised how delicious it was and had to take a picture for the memories! Bukchon village is a place with many traditional houses (which people still live in! I saw many houses with a Do Not Disturb sign, guess the tourists like me were making the lives of these residents a little unbearable). But I definitely see the charm of the area. The lanes are really narrow (cosy, almost) and since the houses look like they came out of a history textbook, I noticed many tourists renting the traditional hanbok costumes to have a little photoshoot. 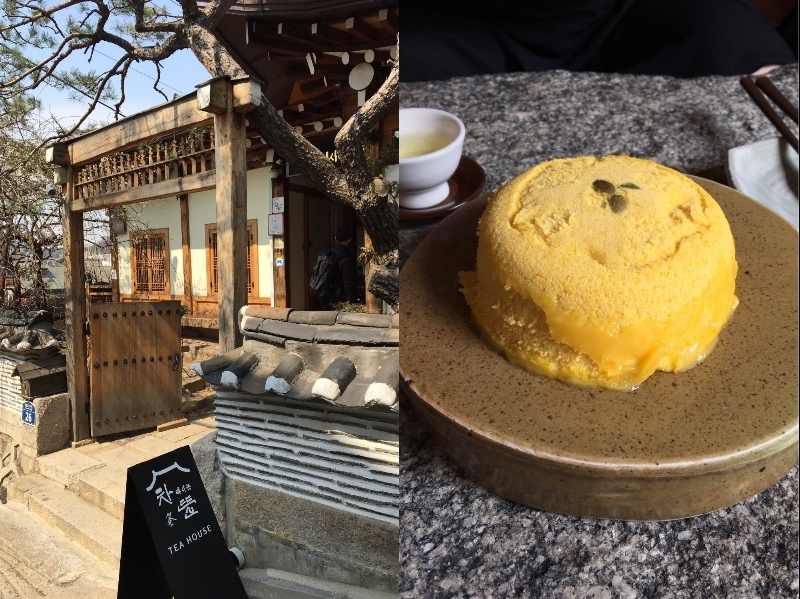 We visited a traditional tea house when we were there and it was a pretty fascinating experience. I've never been to one, so entering it made me really excited already. Seated cross legged the floor, we had a floral tea and the steamed pumpkin cake (which I highly recommend if you like chewy rice cakes!). And onto the main reason I flew there - the food. The options are truly unlimited and in a typical fashion, I forced myself to eat as much as I could as I did not want to regret not trying anything! I had my first ever army stew and it was fantastic. I can't remember the restaurant we went to as we like to casually walk around until we saw something that was decent and had potential. 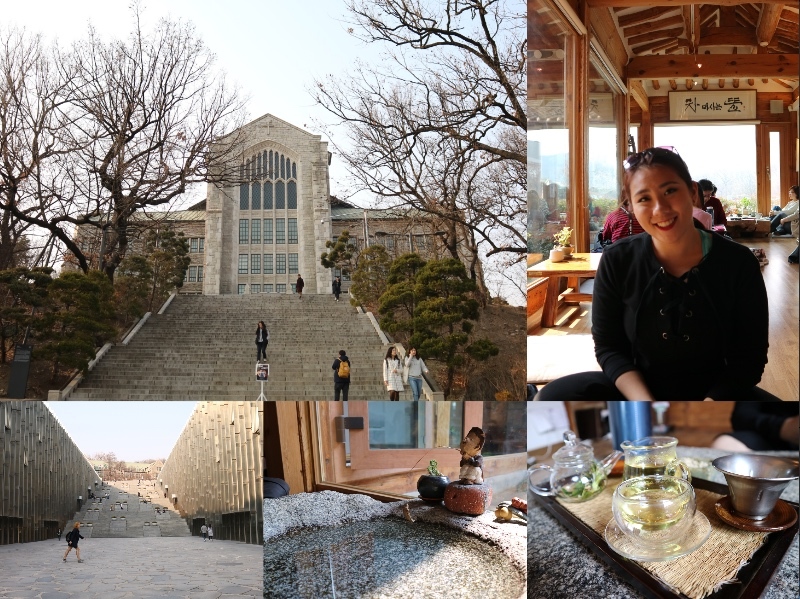 The restaurant I visited was about 4 blocks down from the Gyeongbukgong palace. 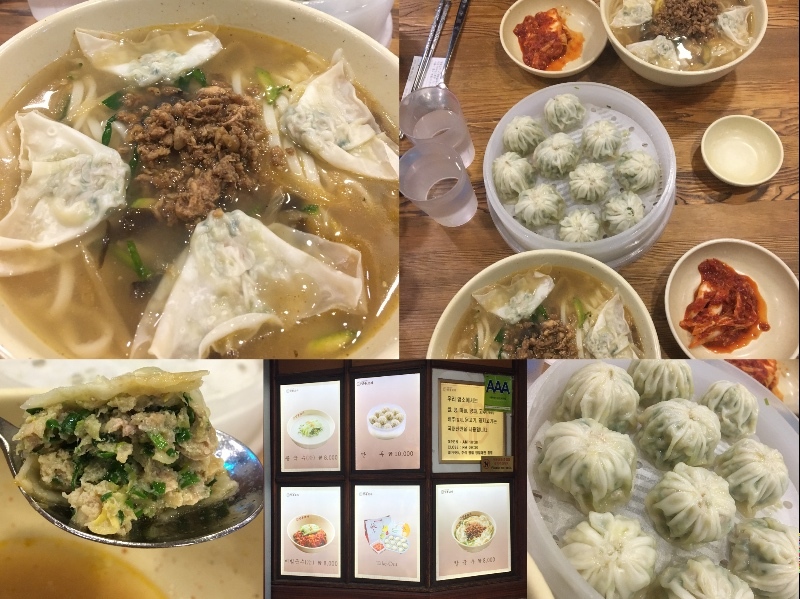 If you like dumplings, you have to try out Myeongdong Kyoja. 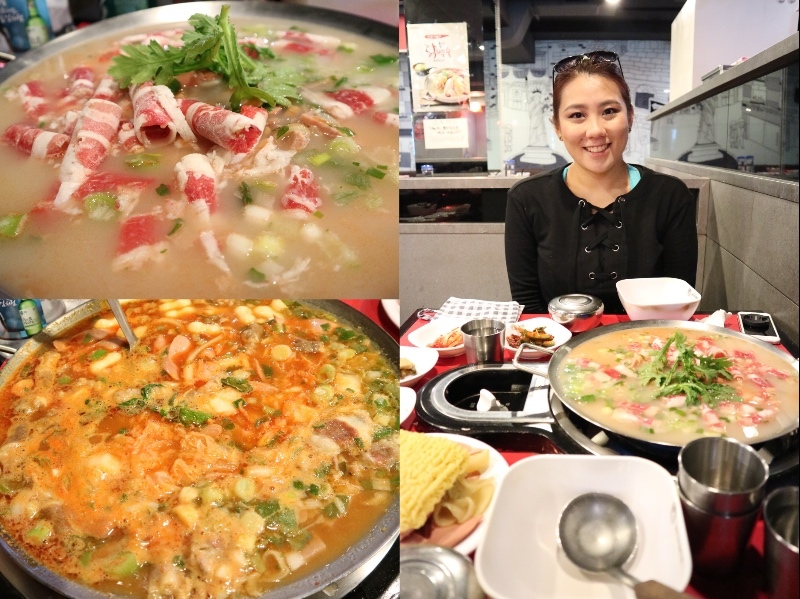 This is located in one of the streets of Myeongdong and they only serve 5 food items (talk about being specialised). We noticed the michelin star sticker and thought that we had to try it. And we were right. No regrets. I had the Kalguksu (chopped noodle) soup and dumplings. Turns out, this place is highly recommended on many food blogs and websites! Guess we got lucky! 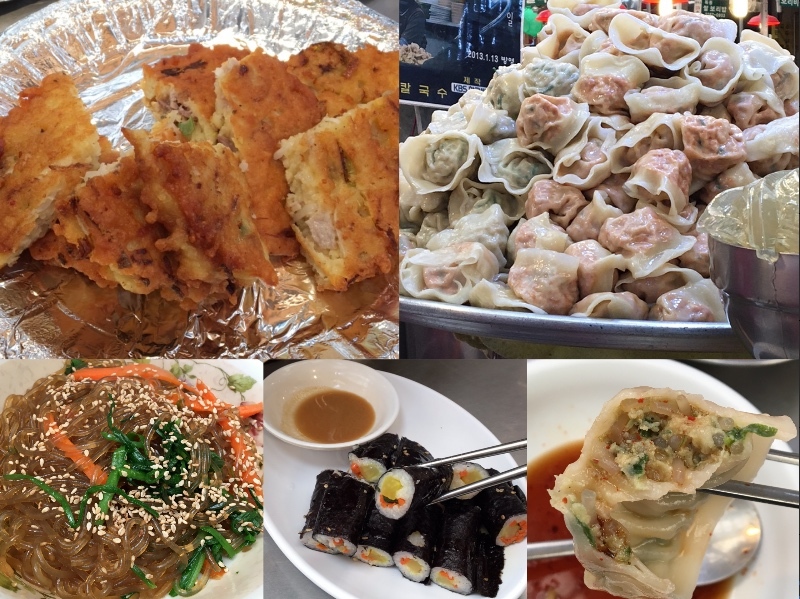 Gwangjang market is also a place to drop by if you're into traditional Korean dishes like dumplings, mung bean pancakes, gimbap and Jap Chae (fried korean glass noodles). Here, there are many stalls selling the same thing, so we just went for one that looked comfortable with enough seating. The dumplings were absolutely delish! I wished I had more but I wanted to try out the other dishes as well. It was pretty cool to see that the stall owners use a traditional stone grinder to grind the mung beans into a paste which is then used to make the pancakes. These pancakes had some meat and chives too, and I recommend you to try it as well! 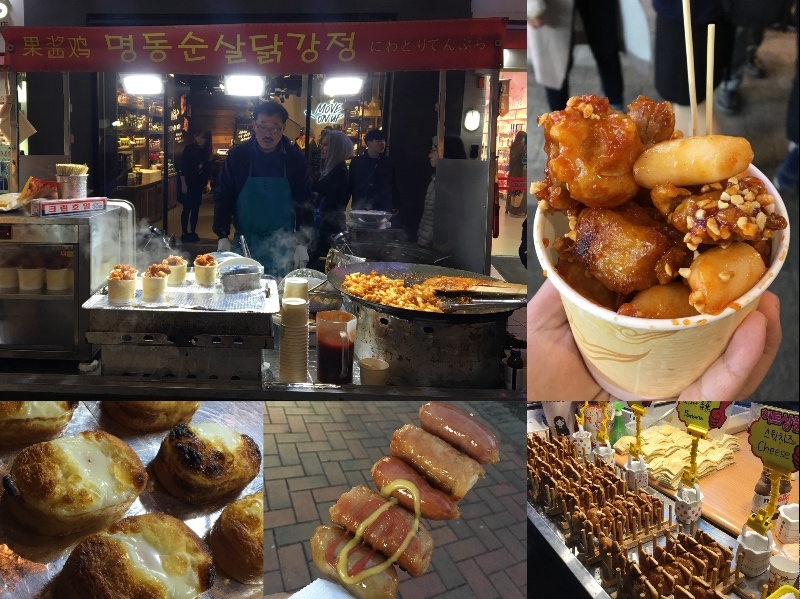 As my hotel was pretty near Myeongdong, we had good access to a variety of street food. Now, before I arrived, I somehow assumed that street food would be pretty cheap. However, I realised that the prices are around 4000-7000 Won (which is around SGD 5-9). It isn't exorbitant but definitely way more than I had budgeted for street food. Walking along the shops and seeing the variety was wonderful. It is really lively and not to mention the aroma of the food! My favourite has got to be this chicken and rice cake combo. These are fried chicken bits in bite sized pieces and rice cakes that are tossed with the Korean fried chicken sauce. I would fly back for these. After spending a good 5 days in Seoul, I have to say I am a total Kbeauty convert. 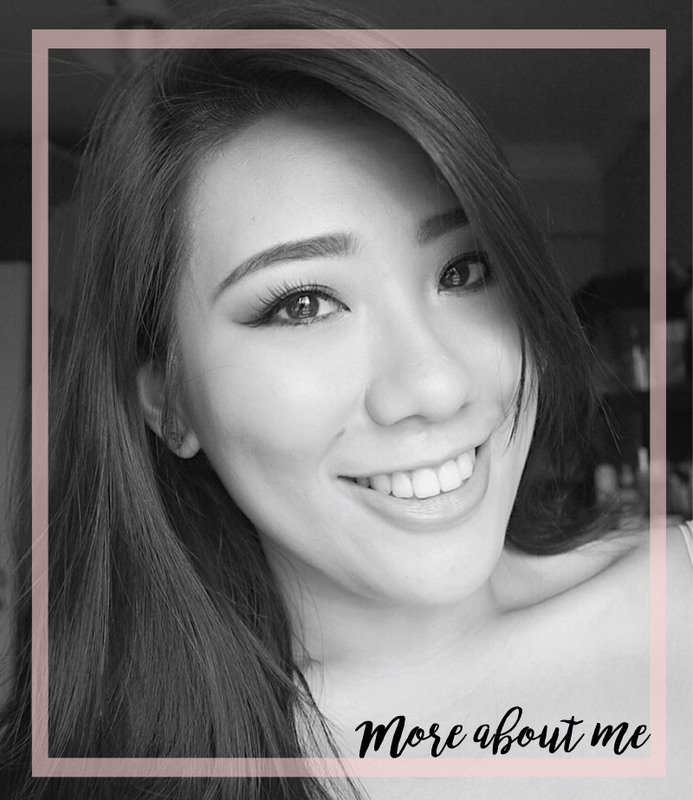 Of course, there will be hits and misses when it comes to the world of korean cosmetics, but I feel that I am way more open to trying them out now as compared to before. Also as mentioned before, I also do think that 5 days is pretty sufficient to visit majority of the tourist sites in the city with a little give as well. However, I do recommend visiting for a longer period as the variety of food to try is almost overwhelming and I wished I tried more (says the person with the overflowing belly). 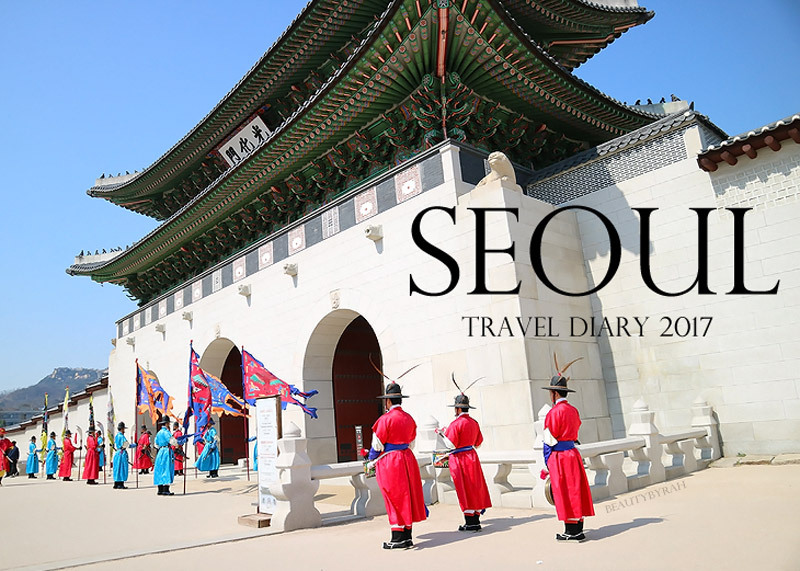 Would I ever visit Seoul again? Definitely! But I would probably visit other areas nearby as well such as Jeju Island and Mount Hallasan! As I was flying back on the plane home, I did feel the typical reluctance to start the whole daily grind and work again. Piles of worksheets and screaming children flashed past my mind and I could feel the mood sinking into the depth of depression. Ok I kid. It wasn't that bad. But then, I realised that instead of feeling the reluctance and complaining about going back to the work again, I should just be grateful for the opportunity to take a break and explore a completely new city with a wonderful travel buddy. The moment I shifted my mindset, I did find some sort of a new gusto to go back and kick some a** (not literally, of course). Had to end off with a pretty unglamorous picture of both of us. Contrary to what you're thinking, she is actually having a great time.